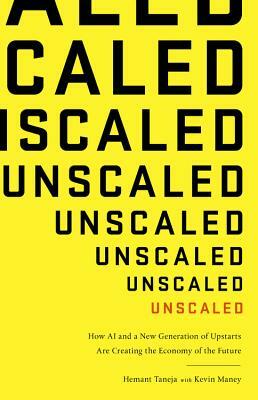 Unscaled identifies the forces that are reshaping the global economy and turning one of the fundamental laws of business and society--the economies of scale--on its head. An innovative trend combining technology with economics is unraveling behemoth industries--including corporations, banks, farms, media conglomerates, energy systems, governments, and schools-that have long dominated business and society. Size and scale have become a liability. A new generation of upstarts is using artificial intelligence to automate tasks that once required expensive investment, and "renting" technology platforms to build businesses for hyper-focused markets, enabling them to grow big without the bloat of giant organizations. possibilities for AI to transform fields ranging from education to healthcare.